In difference with the rumors spread lately saying that iPhone 5 will be introduced in June at WWDC annual event, industry sources cite that Apple will most likely continue its trend of October launches and wait until this fall to release the iPhone 5. The note comes from investment banking firm Piper Jaffray. 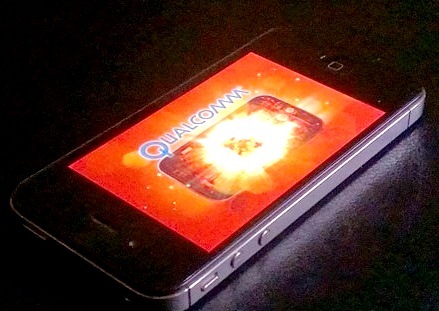 According to the previous reports, despite being of revolutionary design, iPhone 5 is widely expected to support LTE and utilize the Qualcomm 28nm baseband modem. The delay in the launch date is said to be caused due to the Qualcomm's 28-nanometer modem chip supply issues, responsible for allowing the upcoming iPhone to be LTE- friendly. The reports spread yesterday claim that because of the manufacturing constrains that result in bumping operating costs up, Qualcomm cannot meet demands. That means that demand has surpassed availability so much that the company has decided to start spending more money to get more supply as soon as possible. Bill Keitel, the company's CFO noted that this shortage is draining the company of tens of millions of dollars. Chief Executive Paul Jacobs told analysts on a conference call that at the current stage the San Diego based company can’t secure enough supply to meet the increasing demand they’re are experiencing and this issue would limit revenue growth this year. With the issues like the one described above it seems quite likely that our assumptions have gone true and iPhone 5 will be released no earlier (if not later) than October.